Some of these are likely too new to be considered. Last edited by Chris E on Tue Jun 07, 2011 10:32 pm, edited 1 time in total. 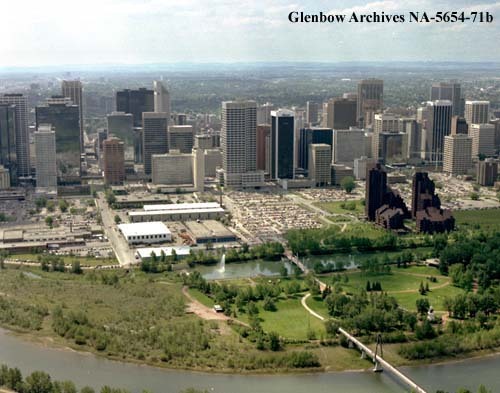 Feel free to post photos or discuss heritage in the downtown area (West downtown, Eau Claire, central core, Chinatown, East Village) in this thread. 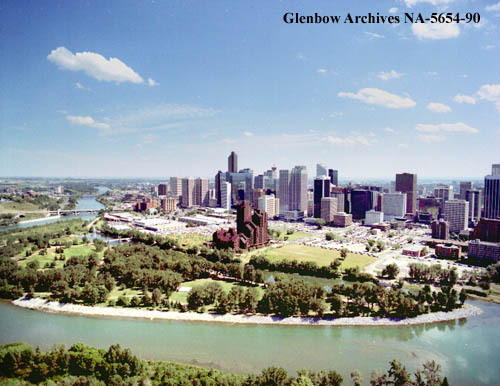 the company i work for is celebrating its 30th anniversary and i have a photo of the present skyline from crescent heights . 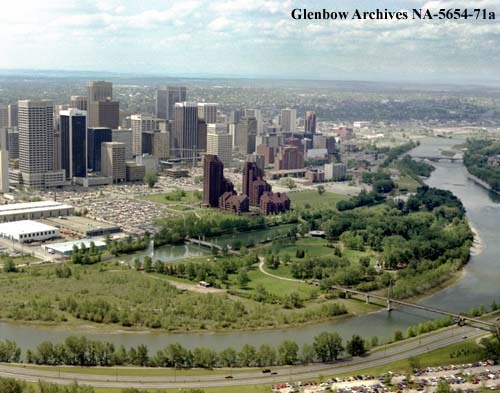 i would like to frame both photos as a comparison of how the city landscape has changed over the 30 yr period from the same vantage point. black and white or sepia tone, just about anything would do for comparison. 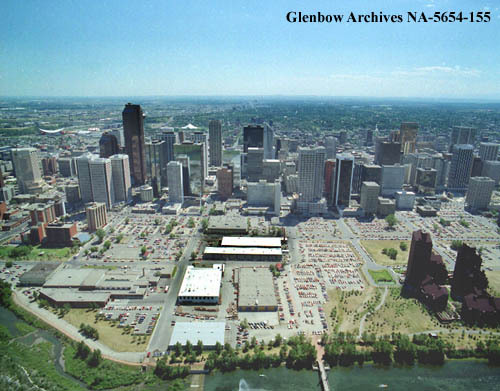 Found these photos on Glenbow Archives. 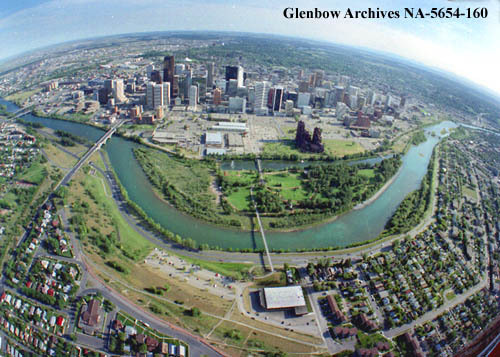 They're taken from the air, and date to 1985. Obviously not all of these are taken from Crescent Heights, but hopefully they'll work for you! 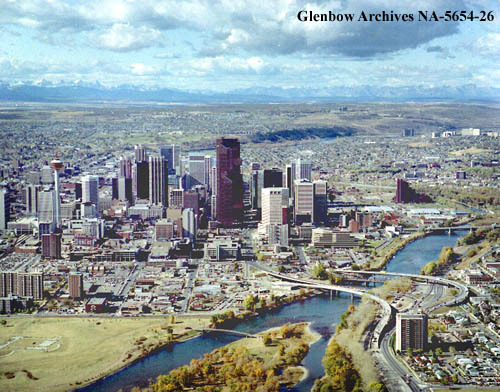 You can also purchase really high resolution images of those photos from the Glenbow Archives on their website. Costs around $20-$30, and takes a few days to process.